I started a month before the end of the Most Valuable Student scholarship contest deadline, the largest of the ENF scholarship programs. These past weeks have been a whirlwind of important deadlines for applicants and volunteers alike. The MVS contest relies on a national group of passionate, dedicated volunteers that judge applications at their local Lodges. I am constantly struck by how the volunteers, whether from Missouri or Alaska or Vermont, have the same reason for stepping up to judge: they care strongly about the future of each applicant. It is amazing to hear their desire to help and to make a difference in the lives of students in their communities. As one volunteer told me; “I know these kids; I know the kind of impact that a scholarship like this could have on their lives. It could mean everything to them.” This seemingly simple statement has already become the one I hold closest, and not a day has yet gone by that I have not thought about it. Speaking with the current scholars and learning about their ongoing projects, studies and experiences has been equally enlightening and awe-inspiring. 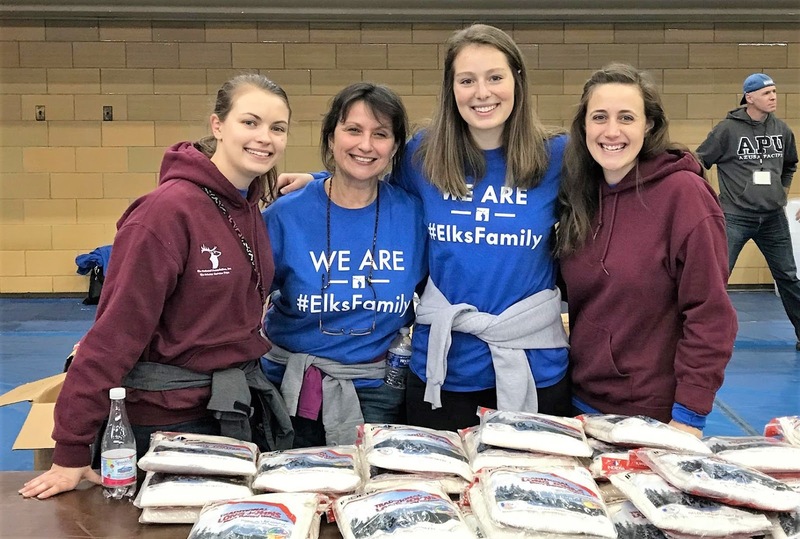 Even in my interview with the ENF, I was told about the #ElksFamily, which is the idea that Elks scholars are connected, not only with each other, but also with the ENF and Elks Lodges across the country. 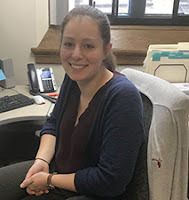 Now, working in the scholarships office, I get to see this concept in real life through scholars requesting to hold meet-ups at their universities with their fellow Elks scholars and sending thank-you notes with stories of their last volunteer experience at their local Lodge. It’s amazing. 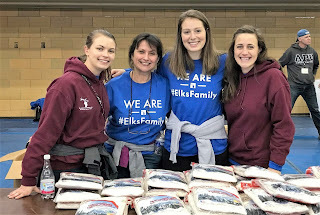 I am very grateful to be a member of the #ElksFamily and to be working for an organization that makes such a tangible impact in the lives of students. My first month was wonderful thanks not only to the great experiences and stories, but to the warm welcome from the entire ENF staff as well. I truly can’t wait to keep learning about all the ENF programs and the wonderful work of scholars and Elks across the country. Maybe, I’ll start with learning how to work the coffee maker first. I’m proud of your service.